We are a full service design firm and have been in business for over 40 years. Based out of Cleveland, Ohio, we offer a full suite of services ranging from logo design, printed work, web design and development and more. Take a look at our Extensive Online Portfolio and see why we’re the obvious choice for your next project. Business cards, brochures, letterheads, envelopes, flyers, promotional items and so much more. From book cover designs to complete typesetting solutions for an entire book or publication, we’ve got the knowledge and skill to bring your ideas to life. Looking for a new logo to bring your brand to the next level? You’re in the right place. We provide numerous conceptual designs after our initial meeting to find your direction. From a simple e-brochure, to a full fledged corporate website and everything in between. We have designed and deployed all types of websites. Make sure to read through our FAQ before making a call into our office. The most asked questions are listed with comprehensive answers. Read what our clients are saying about KF Graphics. As a small business owner I truly appreciate the personal and sincere attention of Ken Fixler and his staff. I found his industry to unfortunately be replete with designers who promised much and delivered little. Ken and his crew are reliable and refreshing. I can not imagine there is a design issue they can not resolve to the satisfaction of the client. David B. Malik, Esq. 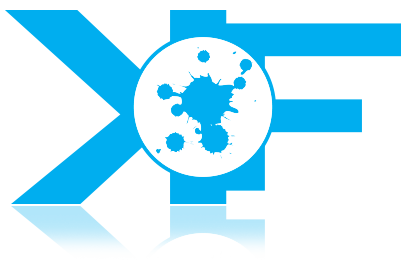 It is a pleasure to work with KF Graphics. Not only did they deliver an outstanding design, but they are easy to work with and finish the job in a timely manner. I highly recommend KF Graphics. Seema Loskove, O.D.